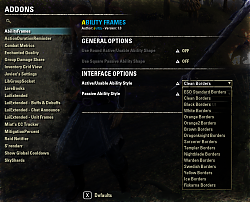 Ability Frames is a ability border change addon. 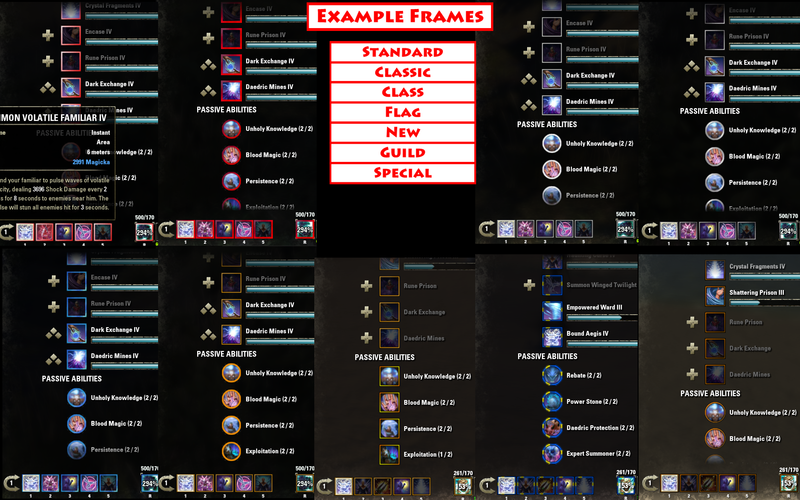 Ability Frames lets you retexture the ESO standard ability frames. 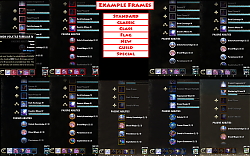 Choose between several different border frames. Want a specific colour or even a design. 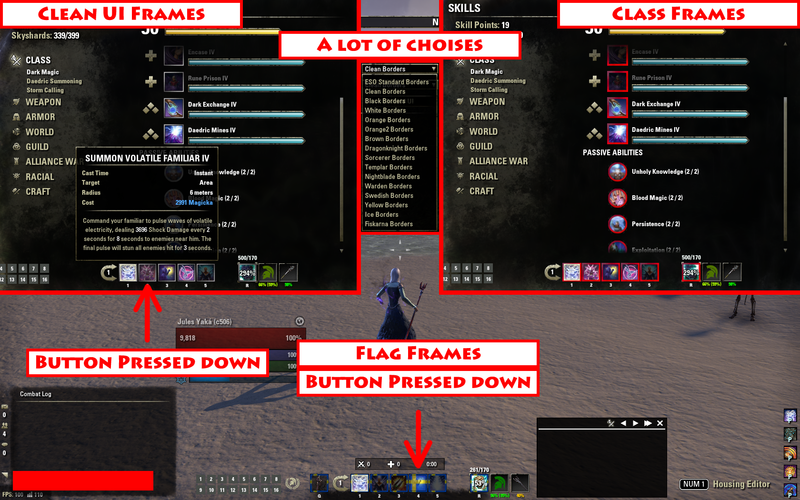 This addon lets you change your ability borders to flag textures and much more. Ability Frames also lets you choose what border type you want. 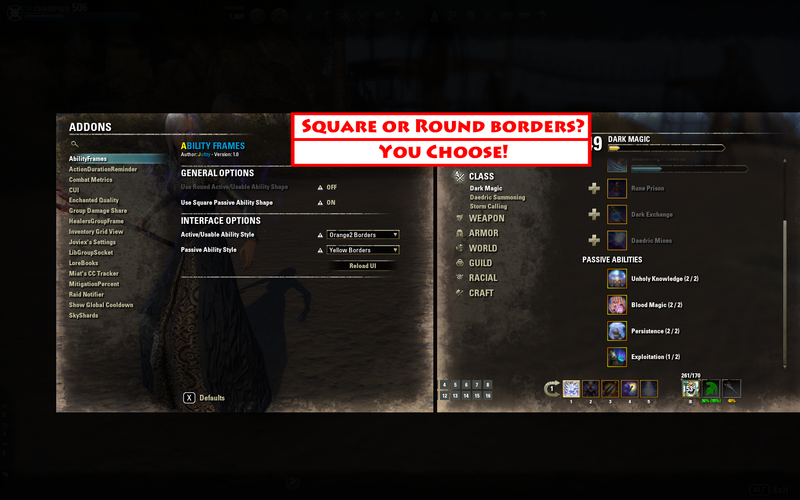 The ESO standard border type is square for active/usable abilities and round for passive/non-usable abilities. 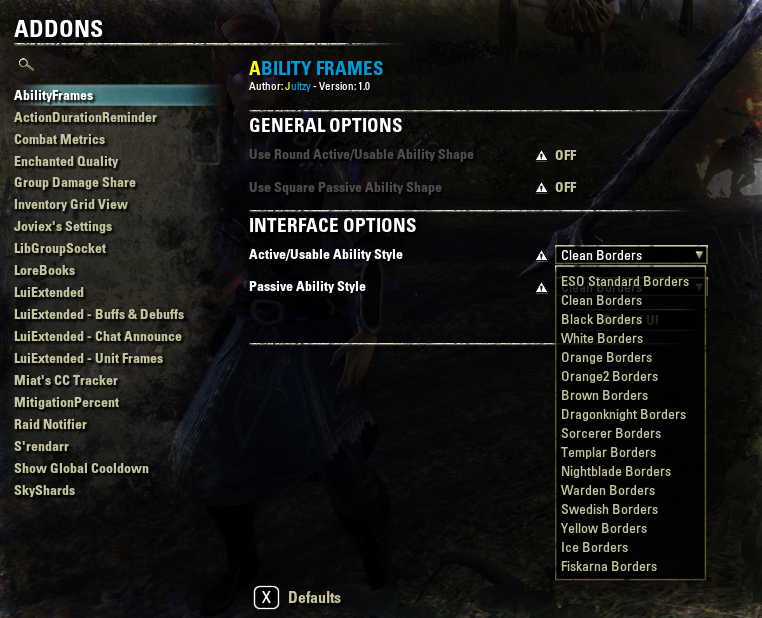 With Ability Frames you have the option to use square or round borders for passive and active abilities. This addon also gives you the option to choose a different texture for active and passive abilities. Ability Frames is still in beta version stage and some features are still not fully optimized. 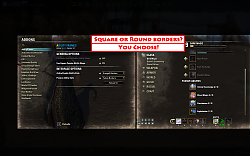 - Optimize round borders for active abilities. - Optimize square borders for passive abilities. - Add more flag textures. If you want a specific texture that does yet not exist within this addon, pm me with an image description or an image and I will review it. Updated the API version to the summerset current API version. Great mod, friend! I am not sure why, but even with the default settings (not square), my ability frames use the circle, which, obviously looks completely whack considering ability frames are square. I reloadedUI twice, to make sure it wasn't just a glitch that would work itself out on the second reload. Many thanks for a unique and fun mod! 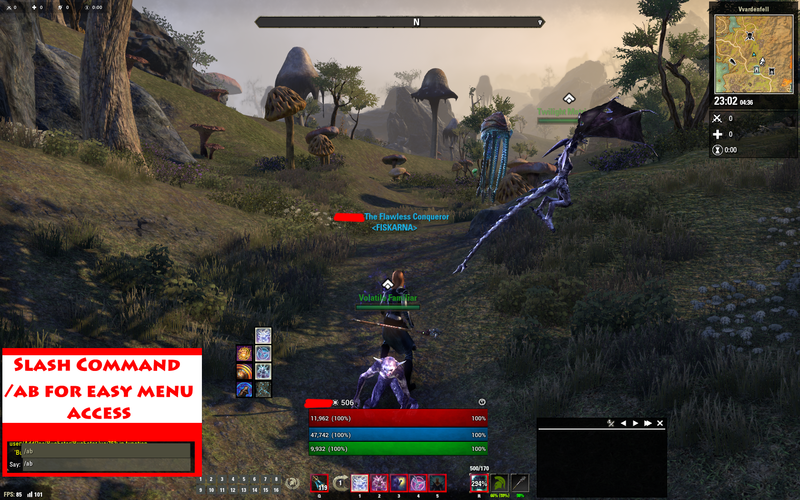 I rarely use interface enhancing addons, but this one is really great! For the Resources it would be very very nice. Yes I know. It's on my to do list to optimize the round borders so they look good. For now I would recomend only using round borders for passive ability frames and square borders for active (usable) ability frames. Last edited by jultzy94 : 06/07/17 at 02:12 AM. Awesome addon! Would it be possible to make it do the same for the borders of the attribute bars as well? Yes that is possible but it would require a lot more coding and making new textures. I haven't looked into the textures for the attribute bars yet so I don't know exactly how much re-coding it requires yet. I will add it to my to-do list for this addon and when I have the time to code it I certainly will. In the meantime I would recommend that you download an addon called "DarkUI". It re-textures the entire interface to a cleaner look but it only comes with black and white textures. 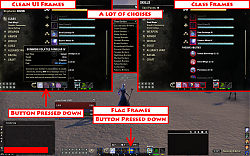 The good part is that it is compitable with this AbilityFrame addon so you can use both of those addons.